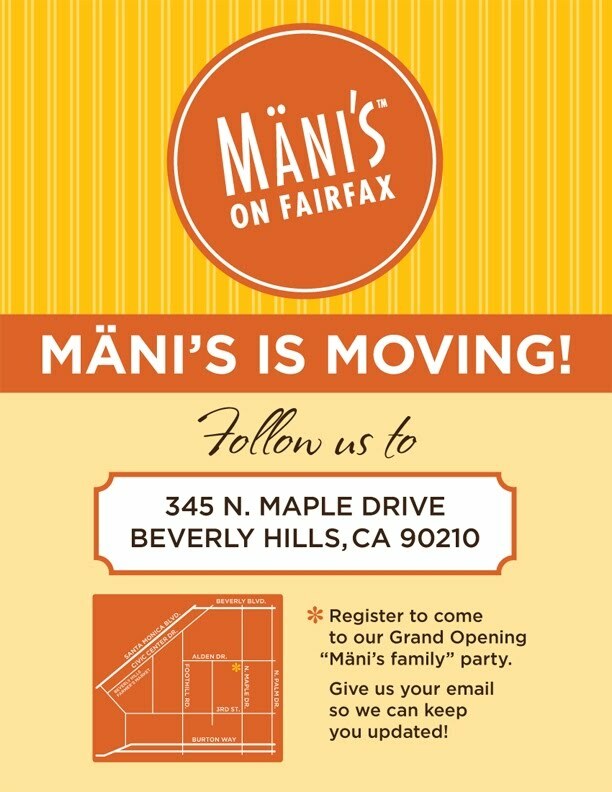 This just in: Mani's on Fairfax will be expanding its restaurants to include a new location called Mani's on Maple, appropriately placed on Maple in Beverly Hills. Mani's on Fairfax is one of my favorite places in LA. It offers a plentiful selection of gluten free menu options and treats, including cupcakes and peanut butter bites. I'm looking forward to an additional location. My previous post on Mani's can be found here. For more information, check out Eater LA's coverage here. 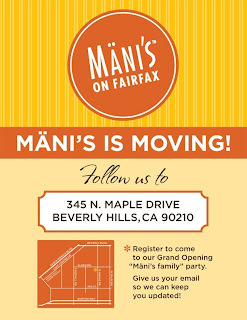 UPDATED: It seems that Mani's on Maple will be replacing Mani's existing location on Fairfax. Check here for the news from Mani's official site.